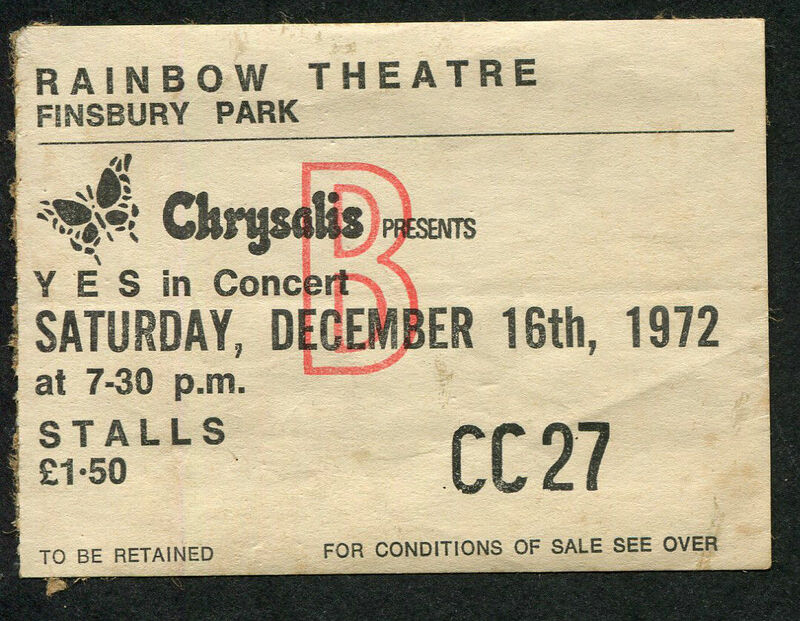 So, 33 years ago was it, that I saw the amazing Rainbow concert with Kath and Les Payne and Claire, my girl at the time? The Rainbow was a rock venue icon of the time. We had seats five rows from the front of stage and the set was stunning. Backdrop, courtesy of Roger Dean's designs and dry ice billowing into the first two rows! To my mind, the very best of Yes line ups and a stunning set of well-executed songs. The rest, as they say, is history but the journey home in my Wolseley Hornet was memorable in itself.